This week, UK MPs have debated and returned with a thumbs-up for the controversial third runway project at London’s Heathrow Airport. In a vote in the House of Commons, 415 aye’s had it against 119 nay’s, and the majority of 296 votes will move the project closer to reality. However, MPs are already coming out in support of Sadiq Khan’s plan to mount a legal challenge to the decision. 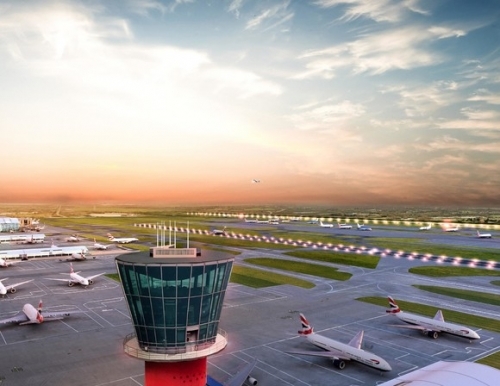 Executives at Heathrow Airport are understandably delighted with the vote result, and now plan to apply for development consent. Budapest Airport has happily flexed its green muscles this week, by achieving the coveted Carbon Neutral status in ACI’s Airport Carbon Accreditation program. Hungary’s major airport worked hard to meet the criteria, implementing a range of energy-saving features throughout the terminals and making changes to critical services over the last ten years – and they’re still not done with the carbon-saving initiatives! Budapest Airport’s environmental director, Gabor Szarvas, is delighted to receive this accreditation, particularly as they are the first airport in the Central-Eastern European region to qualify. ‘In Europe, only thirty airports are in the elite club of carbon-neutral operations, and in Central-Eastern Europe we are the first to receive this accreditation,’ he said. The installation of LED-based lighting systems, and the refurbishment of district heating pipes and water supply pumps has all contributed to the milestone achievement for the airport and it continues to work towards even greater carbon reductions. In addition to achieving this coveted status, Budapest airport is also working to encourage its partners to adopt similar sustainable practices, and is promoting its success to show other organisations and authorities what can be achieved with determination, investment, commitment and a firm strategy in place.